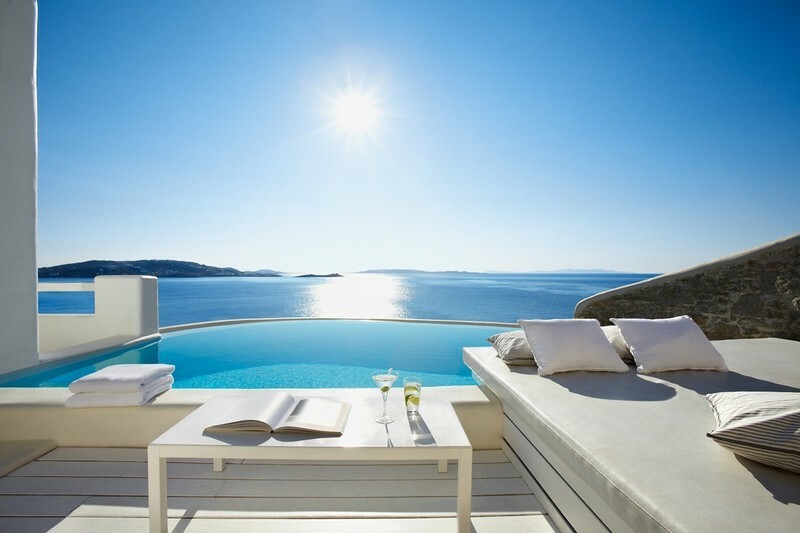 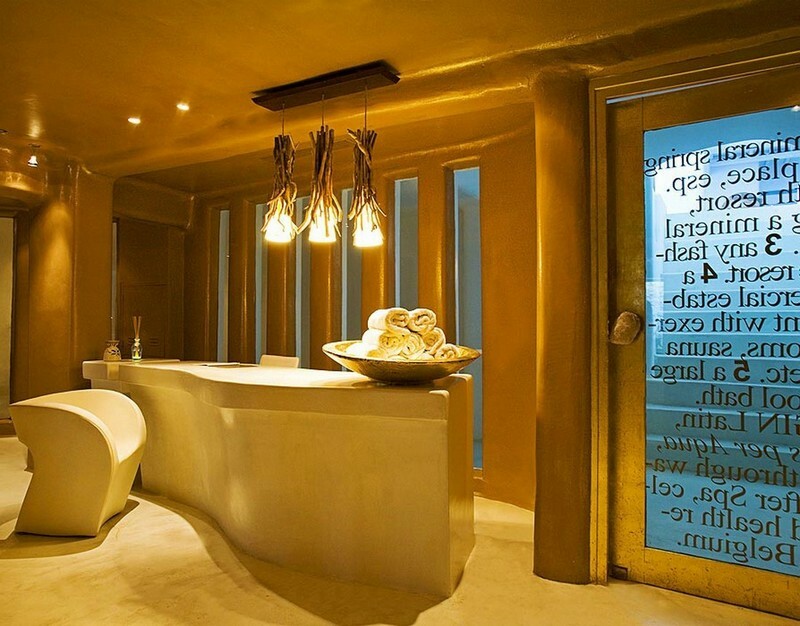 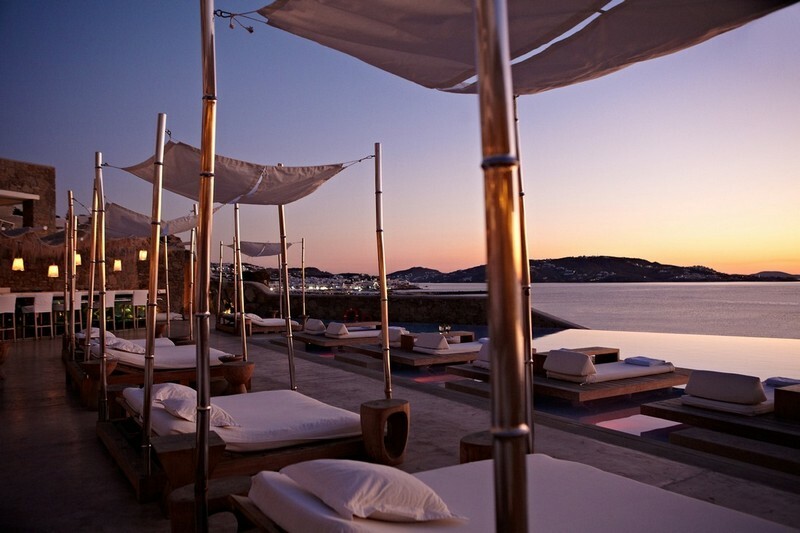 From the first moment you lay your eyes on Cavo Tagoo, you will sense that this unique hotel complex of Mykonos is a destination for those who are looking for a complete holiday experience. 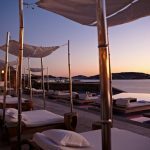 From the first moment you lay your eyes on Cavo Tagoo, you will sense that this unique hotel complex of Mykonos is a destination for those who are looking for a complete holiday experience. 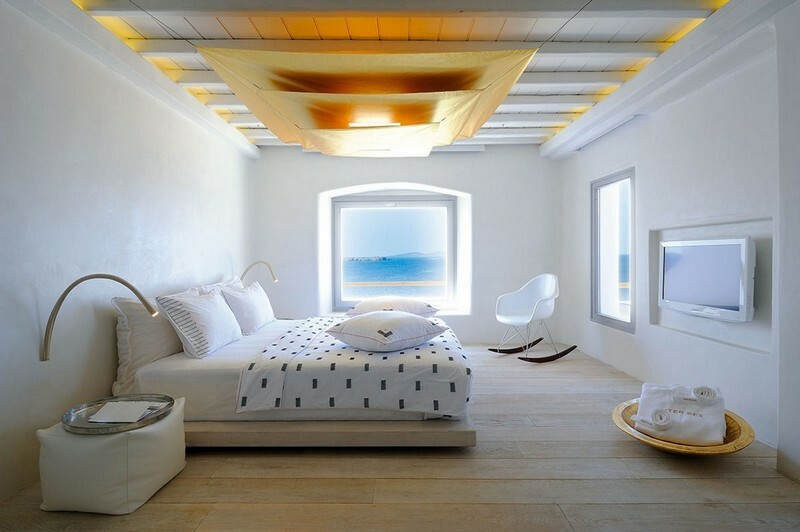 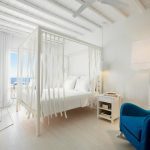 Combining modern luxury with traditional Cycladic style, it has a simple island design, which is “found” in each of its 80 unique rooms and suites. 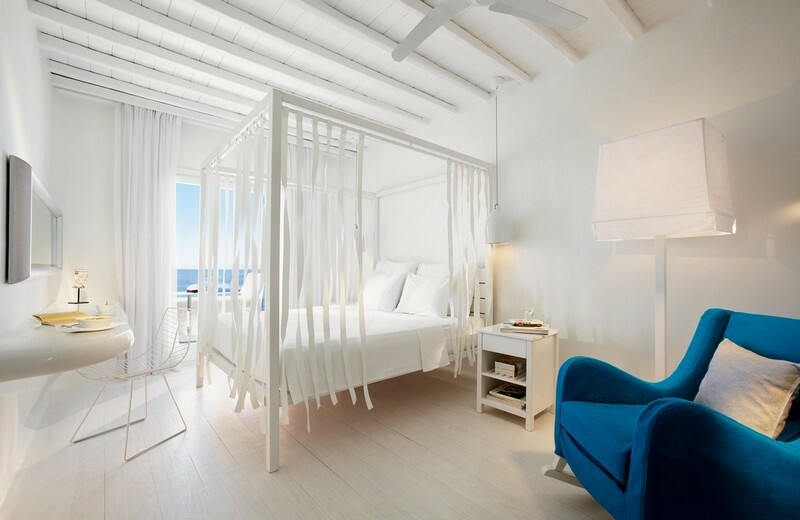 Modern furniture, splashes of colour on the dominant white, marble bathrooms with Jacuzzi, brand name care products, private pools with a view of the vast blue sea compose the scene of your stay at Cavo Tagoo. 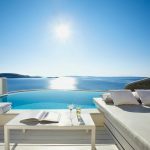 Those you want absolute privacy and comfort, have at their disposal the private luxurious villas with their own pool and veranda. 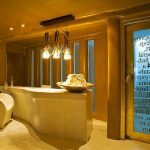 At the Spa you will have the opportunity to rejuvenate and enjoy the face and body treatments, as well as the prize winning holistic treatments. 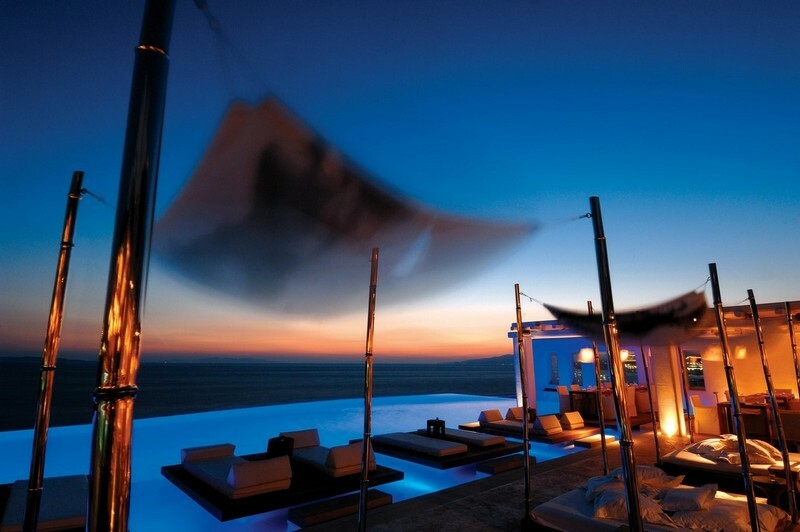 Afternoons are reserved at the Lounge & Pool Bar! 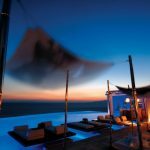 Savor your drink on Japanese style comfortable podiums or dine at the gourmet restaurant Tagoo restaurant, choosing among Greek and international recipes.